Cultural Depravity? 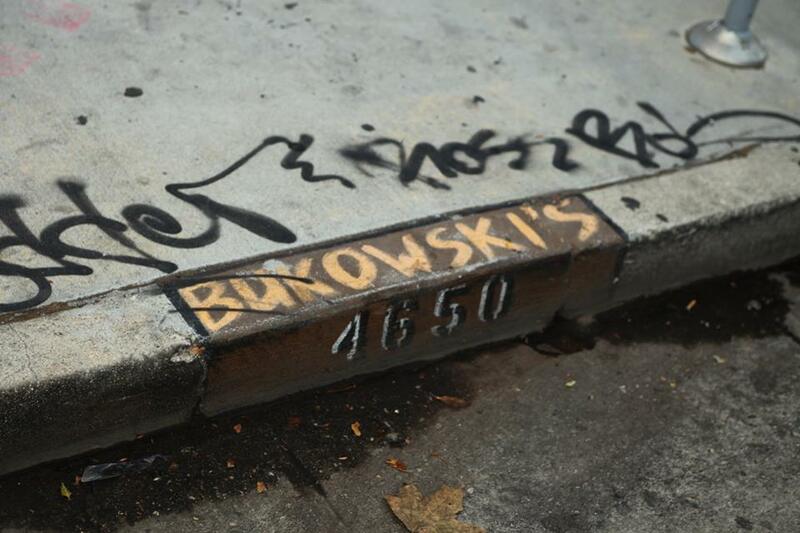 Who Painted Out The Great Bukowski Mural? First – Here’s The Mural and the Artist As I Filmed it in 2015. The Mural, at Kingswell and Vermont in East Hollywood was painted in 2015 by Nathan Anderson, a local L.A. artist. 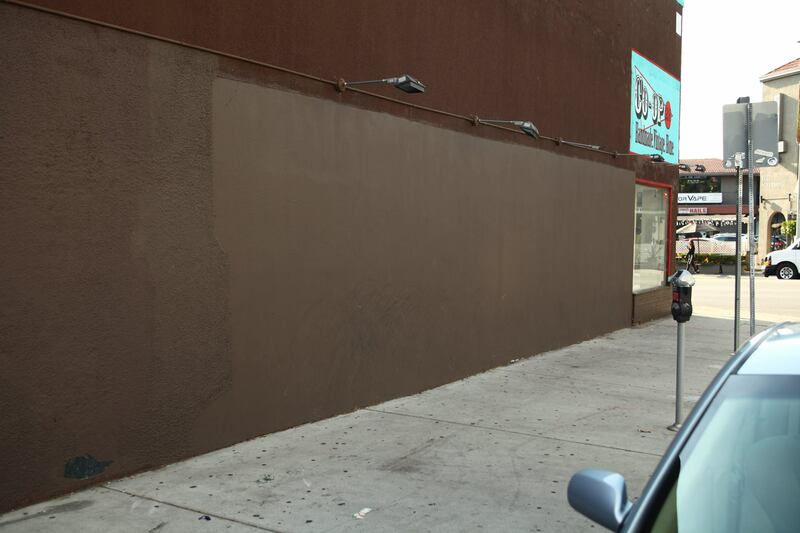 The person who evidently commissioned the mural was none other than Hollywood bookseller Alan Siegel’s daughter, who was trying to open a “Bukowski” bar a few feet east of the Mural. Alan ran Hollywood’s biggest bookshop for years. He also had another huge store out in Burbank, and a 10,000 square foot warehouse in NOHO. His daughters were raised in the book stores, and I heard it was Marcie who was opening the bar, which I don’t think got off the ground. If anyone has any information on this let us know. I love this photo, I took it about 2 months after the Mural was up. 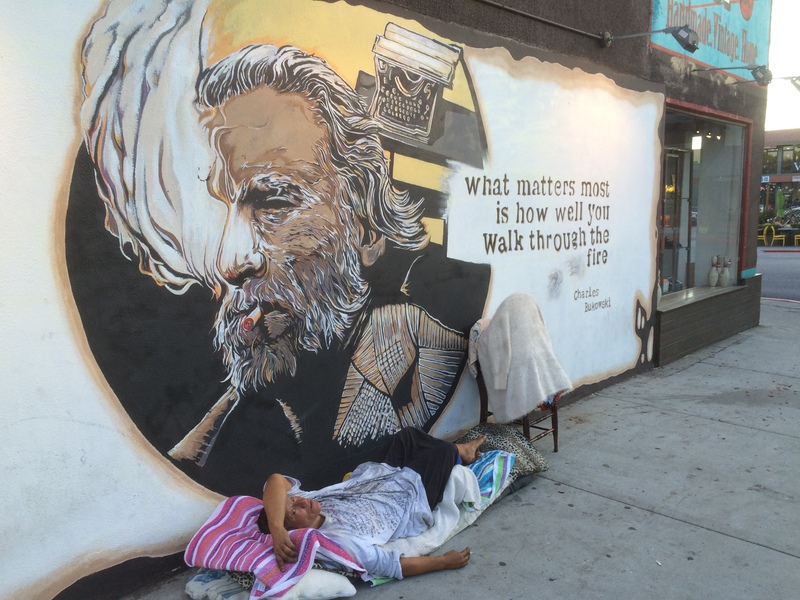 Buk would have liked the idea of homeless folks sleeping under his Mural. Photo by Paul Hunt. The physical destruction of old Hollywood continues, with countless buildings and entire blocks being torn down. Billions of dollars pour in to build monstrous complexes. And the homeless population seems to increase by the day. 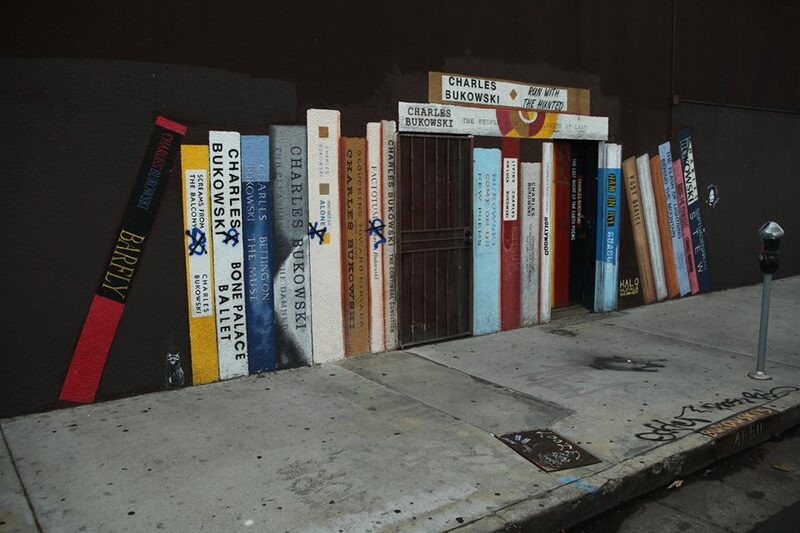 This entry was posted in Authors, Booksellers, Collectors and Characters and tagged Alan Siegel, Bukowski, Bukowski bar., Cultural Depravity, Hollywood Book City, Hollywood Mural by paulie. Bookmark the permalink.